BEST PERFORMER by AMBUJA CEMENT LTD. 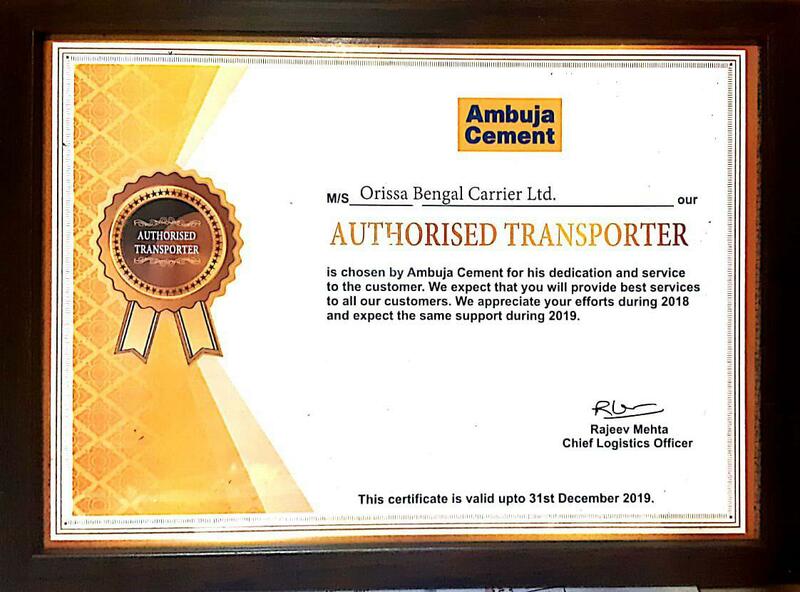 It is a moment of Honour for our Company that it has been chosen as the BEST PERFORMER by AMBUJA CEMENT LTD. for the year 2018 for its Services provided to the Customers. The Company is dedicated in making efforts to fulfill the growing needs of the Customers. 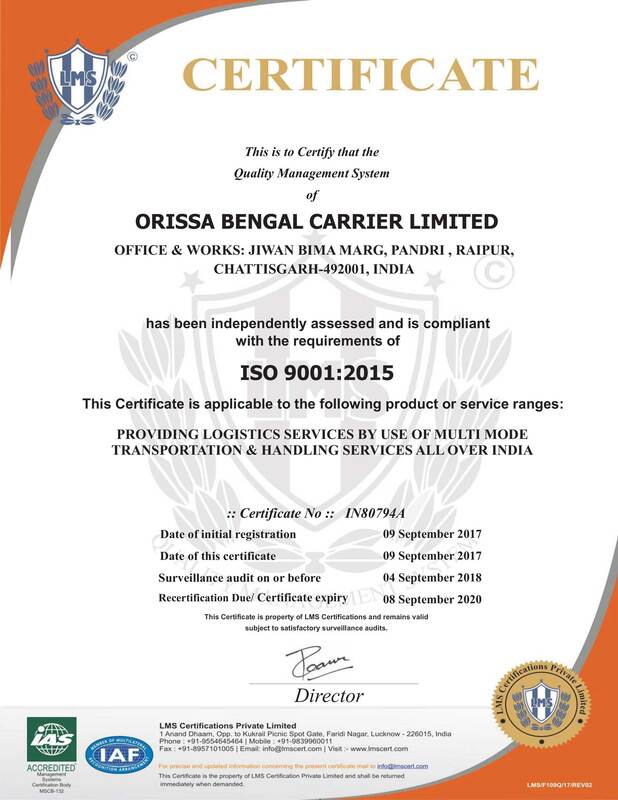 The Company will keep the efforts for quality services. We would like to take this opportunity to acknowledge the overwhelming support of all our Dear Stake Holders. For all the things we do big or small, it is all because of the support of our Stake Holders. 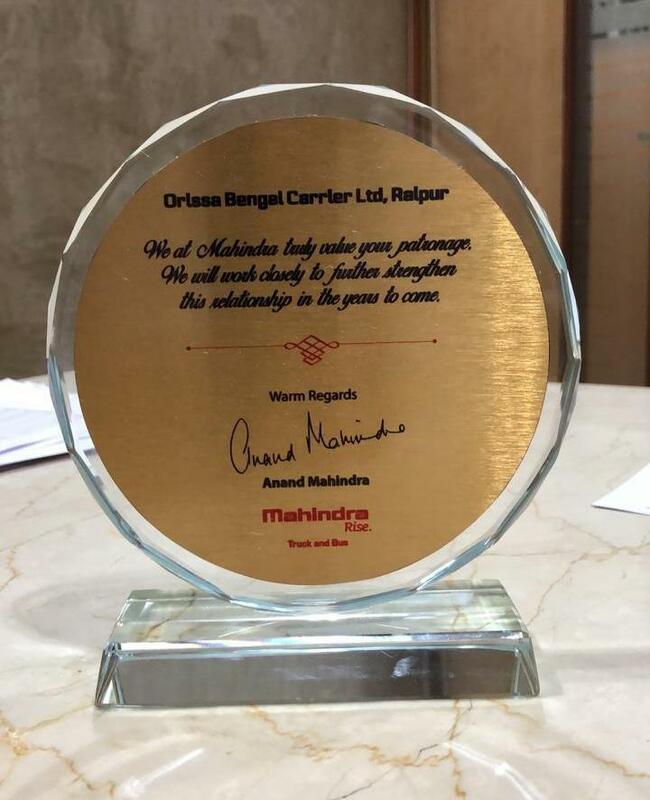 They have helped us & have shown faith in the Company to grow and keep moving on the path of success. Over the past years the Company has gradually seen the growth. In the last year it got listed on the SME platform in Bombay Stock Exchange. 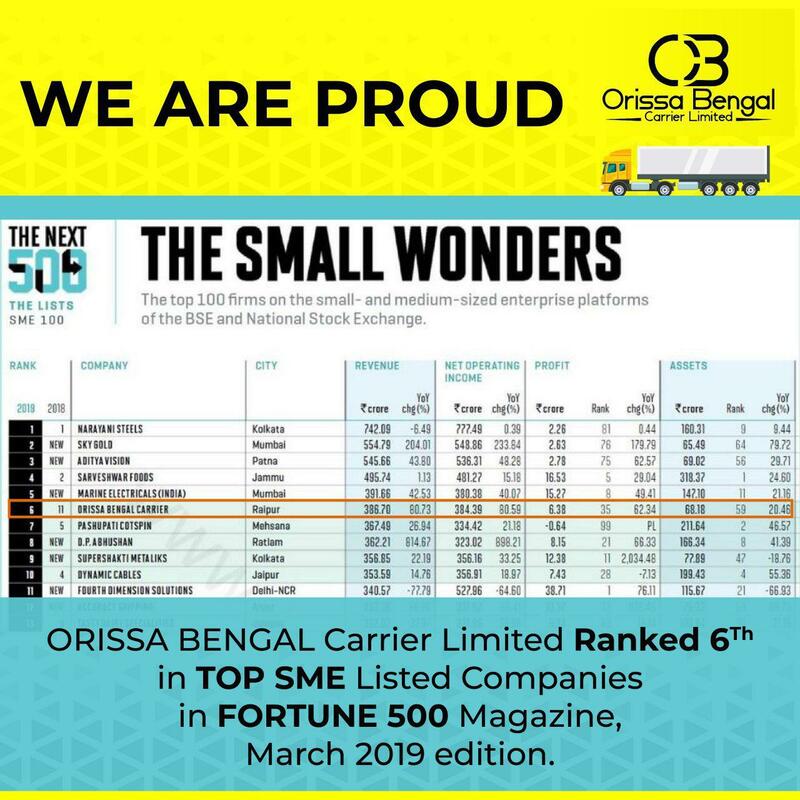 Since then we have improved our position from the Rank of 11th to the Rank of 6th in top SME Listed Companies. This year 2019 the Company will turn to 25 since incorporation and we hope to achieve many more milestones in coming years with the support of all the Stakeholders.